The Yamaha C5 shares many features with its little brother, the C3, including Ivorite keytops, the tone collector system, and duplex scaling. The C5's larger size pays off in enhanced bass response and increased volume. This 1978 C5 at our South location is in excellent cosmetic and playing condition. 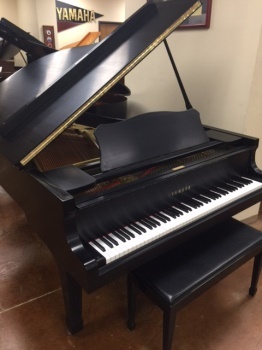 Overall, the tone is nice, crisp, and clean as expected by a Yamaha piano.